As a teacher you know that a child’s understanding of how words work directly effects their ability to decode and comprehend text. That means that it’s important to provide readers with lots of opportunities to engage with words. Although students get plenty of exposure to words throughout the day, spending focused time building their understanding of how words work can lead to higher levels of reading success. Word study goes far beyond simple spelling instruction. It is not about the rote memorization of words. Instead, the goal of word study is to help readers build an understanding of how words work. This knowledge will help students to more easily decode new words and determine the meaning of those words while reading. 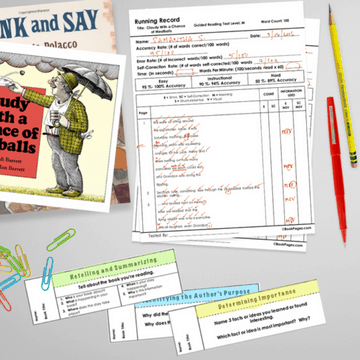 Each of the lesson plans have been carefully crafted to provide readers with the opportunity to explore words within the context of the books they are reading. By anchoring word study to a familiar text, readers will have the added benefit of seeing how words actually work inside of a text. The Word Work Lesson Plans use trade books as a springboard for instruction. Every lesson plan has been thoughtfully developed to provide readers an opportunity to play meaningful games and engage with activities that support learning about specific word families, word patterns, or word meanings. 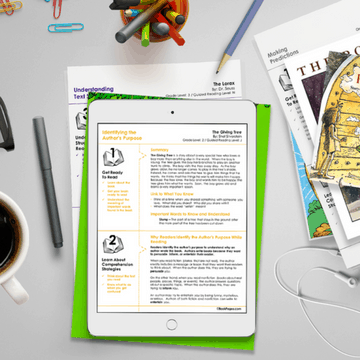 Through choosing resources that have been specifically written to support readers at their individual reading levels, you’ll be able to deliver super targeted instruction. Whether you want to plan for small group instruction, or want to find a grade level appropriate minilesson for your whole group, choosing a text and a resource at the right level has been proven to make a difference in reading progress. You’ll find the Guided Reading Level listed in the upper right hand corner of the Word Work Lesson Plan. Every Word Work Lesson Plans has been designed with Balanced Literacy in mind and is flexible enough to be used in a variety of instructional approaches. Each lesson should take approximately 30 minutes to complete. The first part of each Word Work Lesson Plan is all about activating prior knowledge. Helping readers to make a connection between what they already know and what they’ll be learning is key for both engagement and retention. Introduce the focus of the word study by having an conversation about words. Write examples of words on the board or create an Anchor Chart. 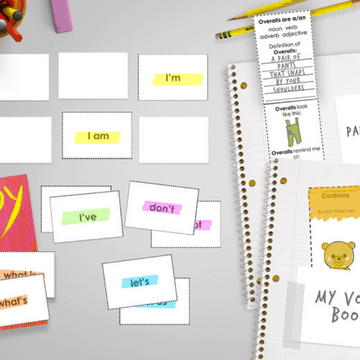 Invite students to brainstorm words that match the lesson’s focus. As a result of first isolating the focus on the alphabetic, pattern, or meaning system you’ll help students prepare for more meaningful word work. The second part of the Word Work Lesson Plan takes word study out of isolation and anchors it within the pages of a familiar book. Students should actively listen to a text, signaling when they hear or see a word that matches the focus of the lesson. You can assess student understanding based on their ability to identify words during the read aloud. The third part of the Word Work Lesson Plan provides students with an opportunity to manipulate words, explore how they work, and discover connections between them. Students actively examine words using a hands-on approach. Students’ specific knowledge of an alphabetic, pattern, or meaning system deepen as a result of interacting with words and with other students. Students are able to communicate what they know and what they are wondering about the word study to deepen understanding. The fourth part of the Word Study Lesson Plans provides students with the opportunity to show what they’ve learned about words. Through presenting students with an independent activity designed to extend their work with specific words, you allow the student to engage with words at their own pace. This is a perfect time for you to assess student understanding and confer with any students who may be struggling. The fifth part of the Word Study Lesson Plans gives students the opportunity to share what they’ve learned with other students. By taking the time to reflect on the lesson and discuss their findings, students can begin to internalize what they learned. The final part of the Word Study Lesson Plans, is optional. This part is intended to extend student exploration of words beyond the time dedicated to the lesson. By providing readers with a way to keep track of words as they encounter them across their reading, you encourage students to actively engage with text throughout the day. Thank you so much for your sharing! I have been teaching SSR for a year and now this is my second. I changed the class to Reading/Literacy because of students not wanting to read. This is very helpful! Thank you and God bless you in all that you do! Thank you so much for taking the time to leave a comment! I’m glad the resources have been helpful to you and your students. If there is ever anything you need please let me know. Have a great day! Do you have your lessons aligned to the Texas Standards? We use the TEKS and not Common Core. Tell us how you're using the Word Work lesson plans in your classroom.